They are baaack!! Not like any kind of zombie apocalypse on Friday the 13th but the long winters nap is about over I guess. We always feel that Groundhog Day is generally some kind of watershed date, after which the new season slowly begins to unfold. Right now we are tending to agree with Punxsutawney Phil, more than his southern cousin Sir Walter Wally, that we are going to see six more weeks of winter. The forecast for the coming week is really extreme, including the chance of snow next Tuesday on the heels of possible record breaking cold with high winds. We are in batten down the hatches mode, covering and tightening every crop and structure we have. We expect this kind of extended cold in December or January with crops that can generally take it but not mid-February when we usually do not see any more temperatures below 20 degrees, much less single digits (last night they had Monday morning at 9 degrees, they have since warmed it up to 14). 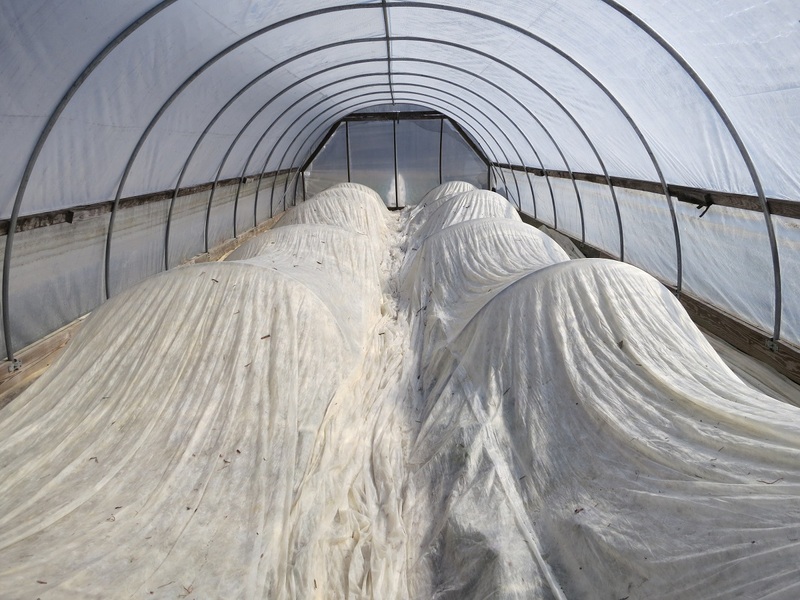 The greenhouse and coldframe is bulging with transplants waiting to get into the field. 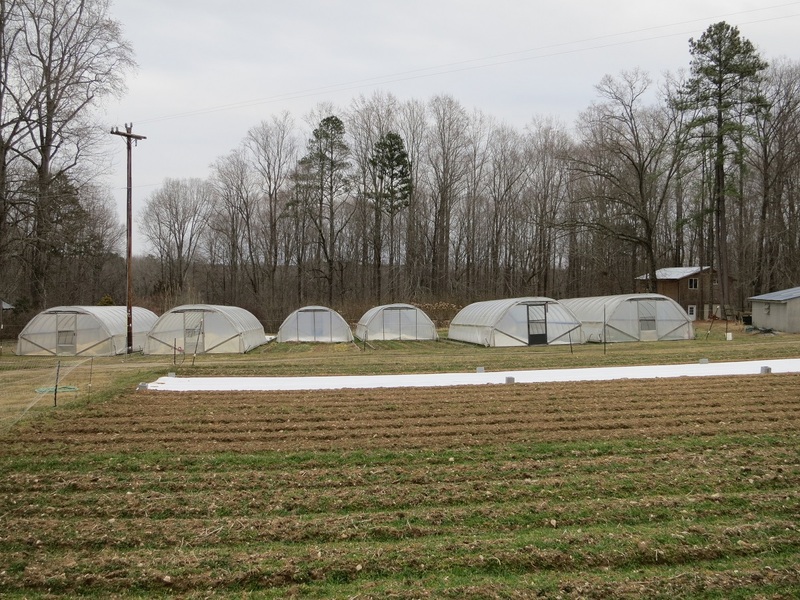 We already waited a week to put out the first field lettuce to get past the last cold snap. 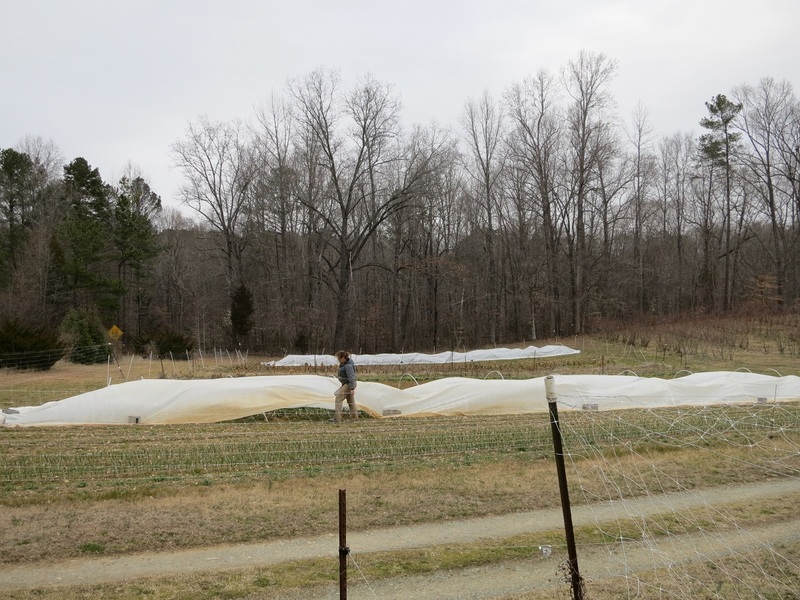 Sunday when it was 70 degrees we planted the first 1000+ lettuce, now we have it double covered as it really is not supposed to go below 20 degrees. The place looks like a White Sale at Belks with so many crops covered with floating row covers. 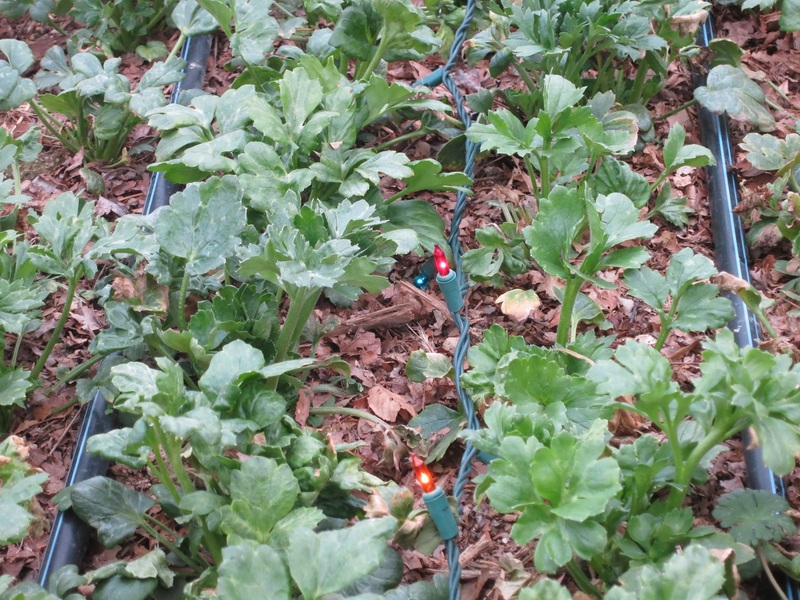 But for the first time ever we have run Christmas lights down the ranunculus beds, under the cover, to generate just a bit more heat right at the plant level. Every last trick in the book. 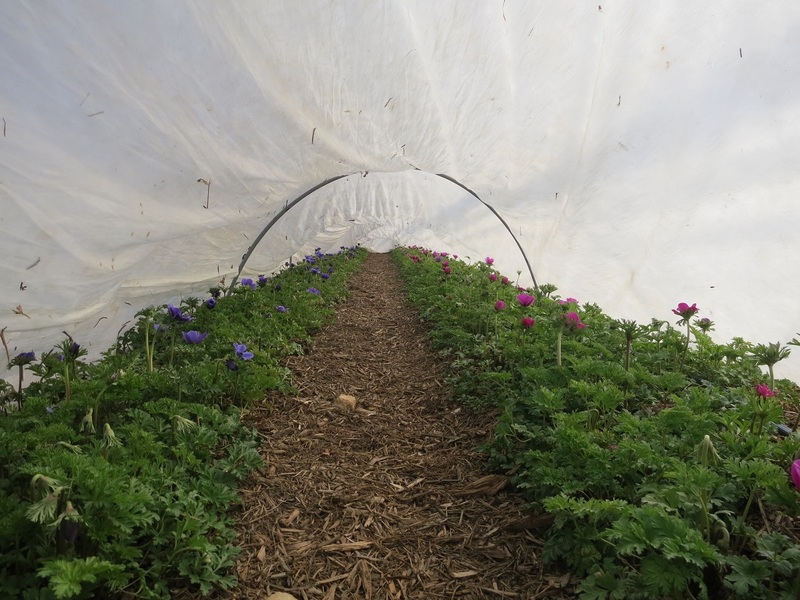 The result is there will be anemones for the Valentines Day market and it will be the warmest day of the coming week! Tomorrow actually looks like a nice morning at market before the next arctic blast, come on out! We have been sneaking in and out of market over the last month but should be back regularly now that the flowers are starting to bloom. Anemones and some flowering branches this week. The vegetable department is slim. A bit of Sweet Spinach. Lots of also really sweet Carrots. Getting near the end of the Carolina Ruby Sweet Potatoes, not beautiful but tasty. Winter Squash with Butternut, Seminole Pumpkin and Acorn.